The Alvin MR Quattro Swing Double-Hole Sharpener (10 per Box) is a sleek all-metal sharpener covered by a plastic casing. Its compact square shape allows easy grip while the snap-cap design provides simple and hassle-free use. 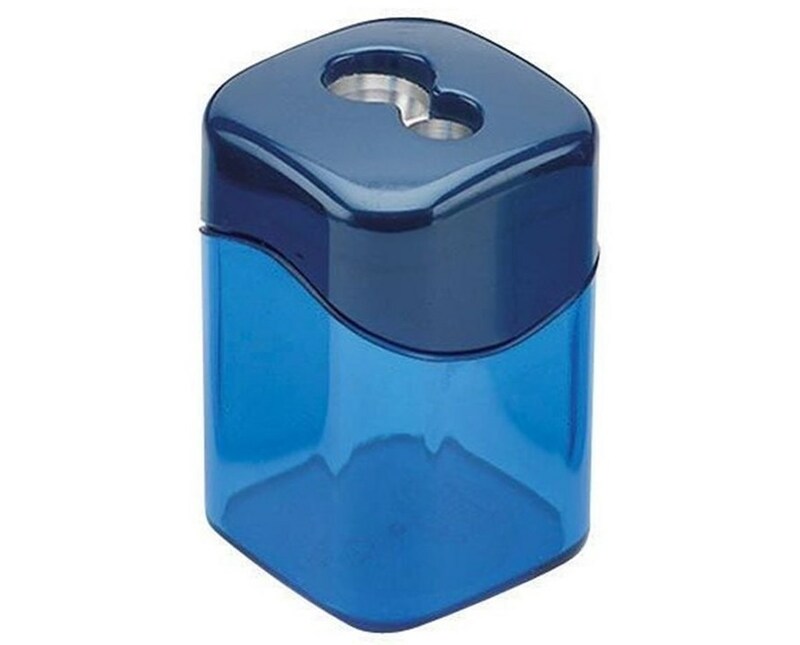 With its 7.8 mm and 11 mm holes, this double-hole sharpener can sharpen both standard pencils and pencils with larger diameter. For a guaranteed long-lasting performance, it is equipped with a replaceable blade. 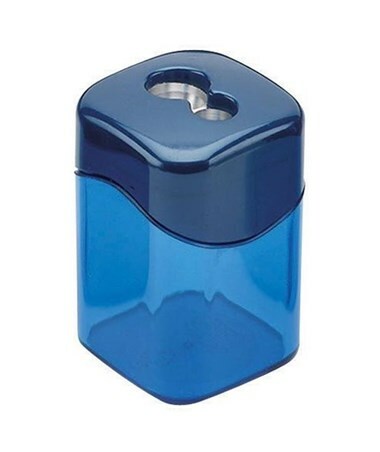 The Alvin MR Quattro Swing Double-Hole Sharpener includes ten nifty sharpeners in assorted colors. Dimensions 7.5 x 2.5 x 3.0 in.